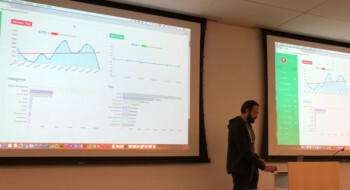 Dmitry Birulia, cofounder of Veryfi, demos Veryfi’s machine powered end-to-end HIPAA & GDPR compliant platform at Envestnet | Yodlee HQ in Silicon Valley. Veryfi was also the winning integration team at the Yodlee Incubator Cohort 4. For more Veryfi videos please visit the Veryfi YouTube Channel.